Still, 460 new buses is a lot better than none at all, and its noticeable how much of the order is for double decker buses which is also very welcome indeed. As is so often the case the majority of the order will go to London. There are 293 going to London and 167 buses for everybody else. So how does that split down? Considering that many areas of First will not see any new buses Marc Reddy must be really pleased to get 21 new buses between his fleets. It remains to be seen where the 7 for Devon & Cornwall will end up. As is always the case with the large groups plans can change. It has been suggested that the Plymouth Park and Ride will see the new buses but as expected Marc is keeping things close to his chest. He has confirmed that the current Enviros are now owned outright by FDC as they have purchased them from Plymouth City Council (7 of them, with 2 being owned by FDC from the start). I am sure we will also see more buses trickling in from London over the coming year too, along with the odd Volvo Olympian to replace older Olympians in the fleet. 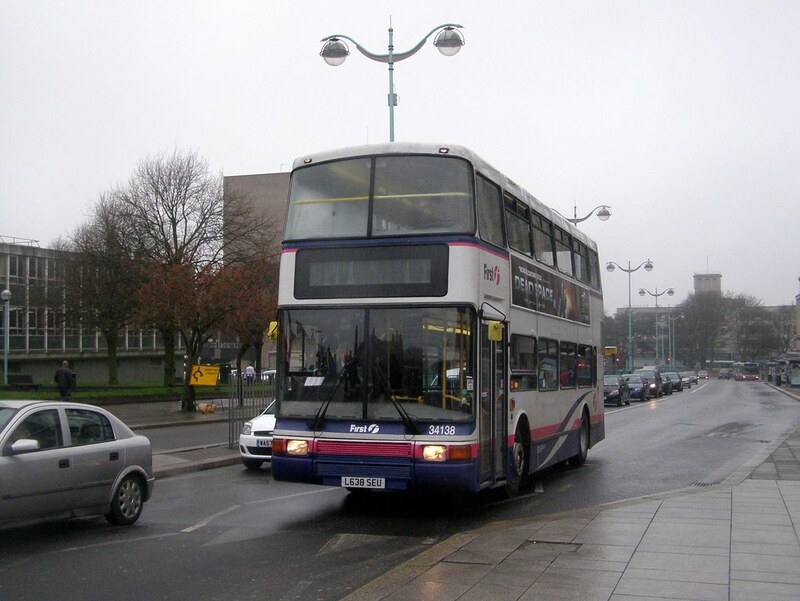 Creative Commons licensed flickr photo shared by Ian Kirby Nice to see one of these in Plymouth, one of the better looking double deck designs in my opinion!